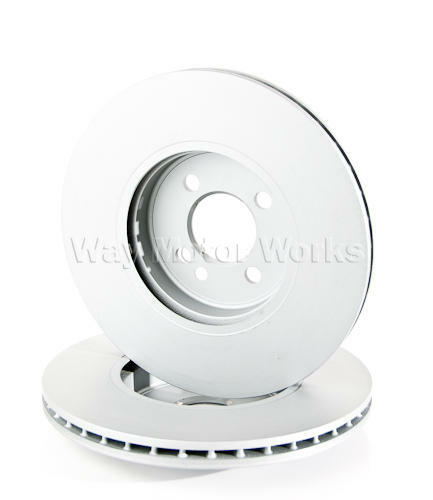 Zimmerman Brake Rotors For 2007-2012 R55 MINI Cooper Clubman and R56 MINI Cooper, R57 MINI Cooper Cabrio, R58 Coupe, R59 Roadster without JCW brake kit. These are German Manufactured brake rotors. These are extremely high quality OEM replacement rotors. Pretty much the same performance as the stock ones, but a little easier on the pocket book. We pretty much use these on all brake jobs at the shop. These smooth face rotors are quiet and super durable. Also we don't have problems with them warping like rotors from the local auto parts store. They all come coated to keep them from rusting.